Let’s begin our section on skis with the assumption that you know there’s been a revolution in ski design during the last two decades. This revolution has been fueled primarily by two things: Materials technology and the new shape of skis. The combination of new shapes and new materials technology has developed a breed of ski that is easier to ski on. These skis will make you a better skier almost from the moment that you strap them on! As a skier, you probably have the same goals as I do on the mountain—ski better and have more fun. The new skis go a long way toward reaching these goals. Modern shaped skis—initially called “parabolic skis”— started out as hyper-carvers for elite level skiers but soon were found to be excellent tools to help intermediates learn to carve turns, instead of skidding. A carved turn is more efficient, controlled, graceful and gratifying than a skidded turn. After a few lessons and lots of trips up chairlifts, the typical skier developed a burning desire to experience the next level, to learn to carve. Shaped skis allow the intermediate to transition more easily into carved turns because of their pronounced sidecuts. When put on edge, shaped skis naturally bow into an arc and magically carve turns in the snow. As time has passed, this ski design has been constantly refined; shapes were adapted for use by back country and off-piste maniacs, powder hounds, groomer cruisers of all abilities and even World Cup athletes. Today there are virtually no skis manufactured not made with shaped technology; we certainly don’t sell any! 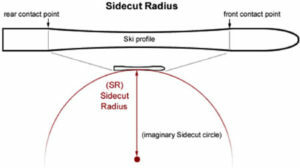 The width, length, camber and side cut measurements vary for different needs, but all improve a skier’s ability to ski in a controlled and efficient manner. A skier who dances through turns in control simply has more fun than those who can only skid around to change direction and speed. With deep sidecuts built into the shape of skis, enthusiasts began asking for wider and wider skis to be able to ski well in all conditions. Groomed runs became now only part of the skiing experience. “Off Piste”—or, in English, off the groomed—skiing became easier for the masses. 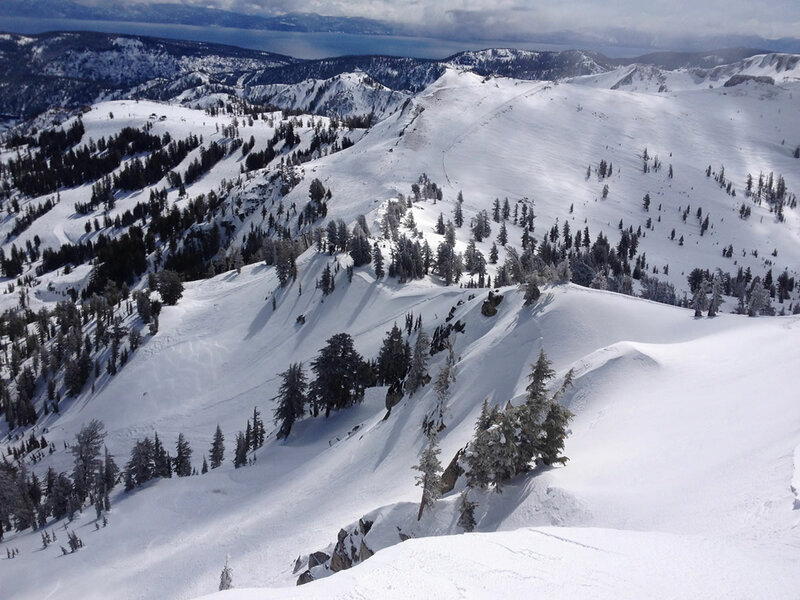 This desire to ski everywhere on the mountain led to the next big change in ski design called “rocker”. Rocker is a change in the profile of the ski as viewed from the side. 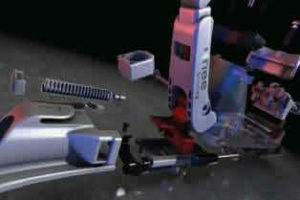 The sections of the ski that curve up in the front and back are elongated and the middle section of the ski that is pressured by the skier’s weight become shorter. This configuration makes the ski easier to turn and to ski in powder snow. It also works fantastically well in “crud” or chunky, uneven snow. Lower level skiers that could ski only on the groomed runs in the past suddenly found they could ski all over the mountain! The final part of the modern ski story has to do with materials technology. I will not get into much techno speak here, but will try to explain why this is important. What would be the answer to the skidded turn problem, at least as regards euipment? If we could but have a ski that bowed easily on its edge—a soft ski—combined with a ski that did not flatten out or twist at tips and tails—a stiff ski—we would all be happier. Skis now are made that are soft along the length yet stiff from side to side. Easy to turn and hard to skid! How do they do it? Well, I said I wouldn’t get into techno speak—manufacturers do that on their web sites—but let me throw out some impressive words: piezo electronics, intellifibers, microchips, Kevlar®, Graphene® , carbon fiber and titanium, to name a few. We heartily endorse these advances and have aligned ourselves with manufacturers whom we feel are on the cutting edge of new ski design. These companies understand the dynamics of skis and have the technological prowess to build them so that you and I can get the most enjoyment out of every precious day we spend on the slopes. We carry the new Knee Binding, although it’s not “new” anymore. The bindings have been on the market since 2009; it’s just that most people have yet to hear of them. In fact, the Knee has become Calskico’s most popular brand. It can detect the forces that cause most knee injuries, and release before the injury occurs! KneeBinding is the only binding proven to help protect your knees on skis. We agree. Knee bindings seem to be safer. The bindings have been out long enough that there should be hundreds of ACL injuries from rear weighted falls without their unique features. To date there have been none reported. Overall we feel the Knee Binding ski bindings are premium products that work well in general. We can tell you that you will not notice them as being different. They are simply “bindings with a twist” that are also a USA made product built to the highest standards. They offer all the performance, retention and reliability of the best bindings available, and incorporate many unique performance features all their own. Are they the perfect binding for everyone? No. They can be a bit tougher to step into than some bindings (particularly when paired with certain boots). They are not the lightest models on the market. They are higher off the ski than some bindings. They are more expensive than most other bindings. So if you need the flattest, the lightest, the cheapest, or the easiest binding to step into that is available we have other models available. But for most people we are going to recommend knee bindings. What are your knees worth?